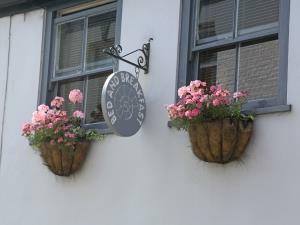 Ammonite Cottage B&B01297 445955work Bed & BreakfastAmmonite Cottage provides a cosy cottage atmosphere in the heart of Lyme Regis. The accommodation consists of one comfortable double room (The Garden Room) which has an en suite shower room and French doors leading directly onto a small terrace and secluded courtyard garden. Additionally, there is a small attached single bedroom enabling three persons to stay. Also, a comfortable spacious double room (The Green Room) with private bathroom may be available - please enquire for details. All rooms are stylishly decorated .The double rooms have TV with freeview, tea & coffee making facilities and plenty of wardrobe and storage space. Free Wi-Fi is also available to guests.